Filipinos have the reputation of preparing excessive food during parties. Recently, I made a rookie mistake of ordering 60 teriyaki barbecue skewers for a party for 20 people. I allotted 2 sticks per person, and added a “little extra” for our own future use. I couldn’t say that I ordered too much dahil baka mapahiya at maubusan (for fear of embarrassment that I may not have enough food); I ordered too much because I simply do not know how much food a person can eat. Guests would have eaten them all–if not, for the other dishes, and 3 different desserts. In the end, I still had 50 sticks that I quickly wrapped in foil to send home. Even then, I still had enough leftover to make Vietnamese spring rolls, Vietnamese pho salad, and quesadilla for a month. 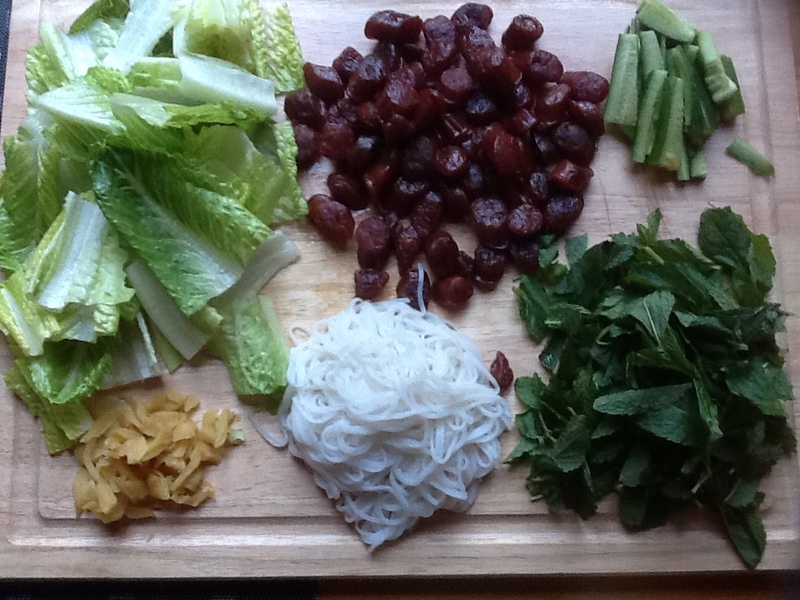 For those trying to figure out what to do with leftover barbecue, here is my recipe for Vietnamese spring roll. I usually use shrimp or Chinese sausage, but I quickly discovered that barbecue pork and chicken work just as well. It is the easiest to make because it requires little to no cooking. Choices for protein filling are: cooked shrimps, barbecue pork or chicken, beef slices, even pan fried Chinese sausage. The beauty of this dish is you can put whatever you want in it–including leftover meat. 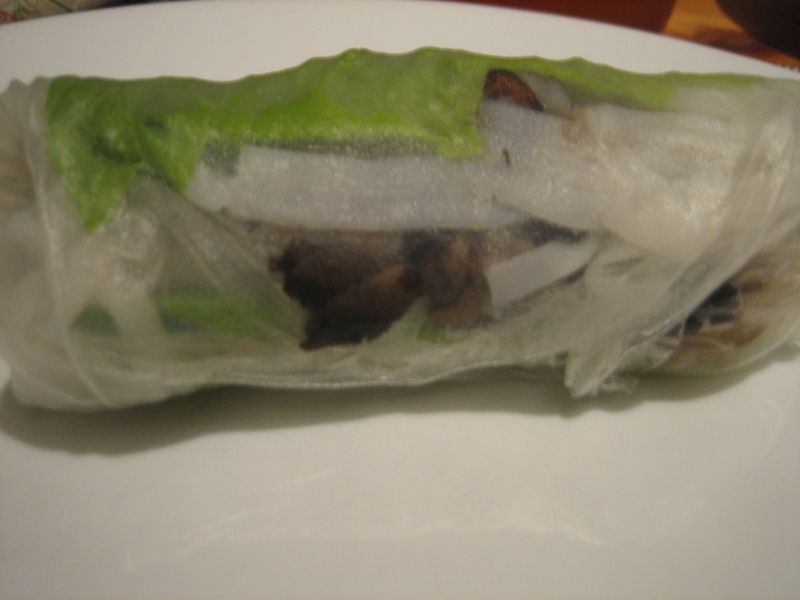 Dip rice paper in warm water to soften, and be creative. Posted in A Taste of the Philippines, Teaching Tagalog and tagged barbecue pork, cooking, family, filipino dish, food, keeping culture, Tagalog Vocabulary. Bookmark the permalink.